Sheep on the field. The Lake District. Waterfall. The Lake District. April 2012. Lake. The Lake District. April 2012. @photos courtesy of Cranfield University’s Walks: April 2012 trip to Lake District. 31 May- 2 June walking weekend in Lake District, cost: £50 members only. Cost includes: 2 nights accommodation in YHA hostel in Ambleside; breakfast on Saturday and Sunday; and an evening meal on Saturday evening. Transport: car sharing, 3-4 drivers sought. Journey duration: 3.5 hours one way. Cost of petrol to be shared amongst occupants of each car. Food: For both days of walking you will need to provide yourself with a packed lunch, some high energy food to keep you going throughout the day and at least 1.5 litres of water. Itinerary: depart on Friday afternoon from Cranfield University, return back on Sunday evening. Detailed program will be available nearer to the date of each trip. Guide: An experienced walk leader and a member of staff. Equipment: please note NO GEAR, NO GO policy for this trip. This includes walking boots (NO trainers! ), waterproofs (jacket and trousers), warm clothes and a NON-COTTON base layer – and NO jeans please!. Walks: Moderately challenging – Saturday walk about 14 miles. Shorter walk on Sunday morning. Exact program to be confirmed. Example route 1 and route 2. Photos by our amazing photographers: Asteris, Ali and Periklis. Find out who joined Cranfield University students last year on their trip to Lake District: see last year’s post. This entry was posted in Blog, News, Past events, Walks, Weekend hike and tagged Ambleside, challenging walk, Cranfield students, Lake District, weekend walking trip, YHA, youth hostel. A special walking weekend in Brecon Beacons National Park organised by Cranfield University’s Walks took place 25 to 27 May. Altogether, 12 Cranfield University students of 8 nationalities (Spanish, Chinese, English, Iranian, Dutch, Indian-Portugeese, Ecuadorian and Czech), 2 family members and 1 walk leader/university staff took part in this special trip to South Wales. The weekend started very early (6am) on Friday morning by a road trip to the seaside town of Tenby; 10 students in 2 cars convoy. Getting on a boat from Tenby to Caldey Island was so relaxing – indeed surreal, after several hours spent driving on a busy motorway. A quick picnic lunch at the grounds of Caldey Abbey; then most of us opted for a cliff walk to see the lighthouse and then hit the local beach. Dip into the cold sea was followed by building an impressive sand castle – with a sophisticated drainage system, green roof and very own Great Wall of China. In the late afternoon we headed inland. Accommodation was booked at YHA Danywenallt by the beautiful and tranquil Usk Reservoir . This is where we met the rest of our group. Big thank you goes to Toni, Hostel Manager, who arranged for everyone to have accomodation at YHA Danywenallt; in spite of 3 of us originally booked to stay in nearby hostel YHA Brecon. On Saturday we did a moderate to hard 23 km (14.5 miles) walk, conquering 4 top summits of Brecon Beacons, including the highest peak Pen y Fan (886m) and neighbouring Fan y Big (719m). We were being blown away on top of these mountains – not just by the beauty of the place but quite literally, by winds reported to be reaching 80 km (50 miles) per hour. On Sunday we did a shorter, about 10 km (6 miles) walk; along the river Hepste, through woodland, walking up and down to a number of enchanting waterfalls – including the famous Sgwd yr Eira (meaning “Fall of Snow“) behind which we walked, took photos and where we had a picnic lunch. Toby, Lecturer from School of Engineering; our walk leader and also driver, for taking his time off to spend the weekend with Cranfield University students and for guiding our group through the spectacular Brecon Beacons National Park. Sue and Glenda from Cranfield Students’ Association for taking bookings, liaising about our accommodation and for providing us with endless streams of helpful advice. Our drivers: Toby, member of staff and our walk leader; and Pedro, PhD student who came forward at a late stage of planning this trip and thus allowed further 4 students to participate. Our photographers: Belen, Ali, Xiaojian and many more – thanks to you we now have many amazing photos from this trip that can be viewed via our Photos page. Lovely Margaret and Dawn from the Community and Development Office for their continuing support. Read about our previous walking weekend in Lake District. This entry was posted in Blog, News, Past events, Walks, Weekend hike and tagged beach, Brecon Beacons National Park, Caldey Island, car sharing, Cranfield students, Cranfield University, Fan y Big, Pen y Fan, sea, Sgwd yr Eira, South Wales, Tenby, waterfalls, weekend walking trip, YHA, YHA Danywenallt. Accommodation was booked at YHA Grasmere – the staff there were so nice and helpful; our group did not miss a delicious dinner on Saturday night in spite of our earlier cancellation and even candles for our walk leader’s birthday cake were found for us in the hostel’s kitchen! -) On Saturday we did a moderate to hard 11 miles walk “The Fairfield Horseshoe from Ambleside“. On Sunday we did a shorter, about 6 miles, circular walk from Coniston – along the Coniston Water, through woodland, pass enchanting waterfalls, stopping for a picnic lunch by another body of water called “tarn“. Overall, we were lucky with the weather; getting bit wet on Saturday whilst on Sunday the rain caught with us as we set off for our return journey to Cranfield. Toby, Lecturer from School of Engineering; our walk leader and also driver, and his girlfriend Alison, for taking their time off to spend the weekend with Cranfield University students and for guiding our group through the beautiful Lake District. Our student drivers Periklis and Asteris: for their flexibility and willingness to wait for participating students who could not leave for the trip as early as planned. From my experience, organising transport for walking society’s activities at Cranfield University is such a nightmare; without our student drivers who are willing to car share this trip (and most of our trips, actually) would not materialize! Our photographers: Belen, Ali, Periklis, Asteris, and many more – thanks to you we now have many amazing photos from this trip that can be viewed via our Photos page. This entry was posted in Blog, Walks and tagged Ambleside, April, car sharing, Coniston, Cranfield students, Cranfield University, Cumbria, Her Majesty the Queen, Lake District, weekend walking trip, YHA Grasmere. 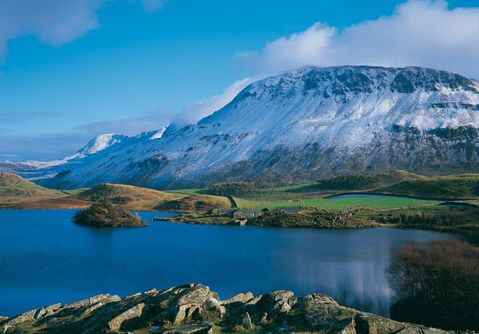 20th-22nd April, 2012 – walking in Lake District, cost: £60 members, £70 non-members. Cost includes: 2 nights accommodation in YHA hostel Grasmere in Lake District, breakfast and an evening meal. This entry was posted in Walks and tagged challenging walk, Cranfield students, Grasmere, Lake District, weekend walking trip, YHA, youth hostel.